I was so excited to find a nice sized package of Stew meat in the mark down section for a little over $3 at Kroger this past week. 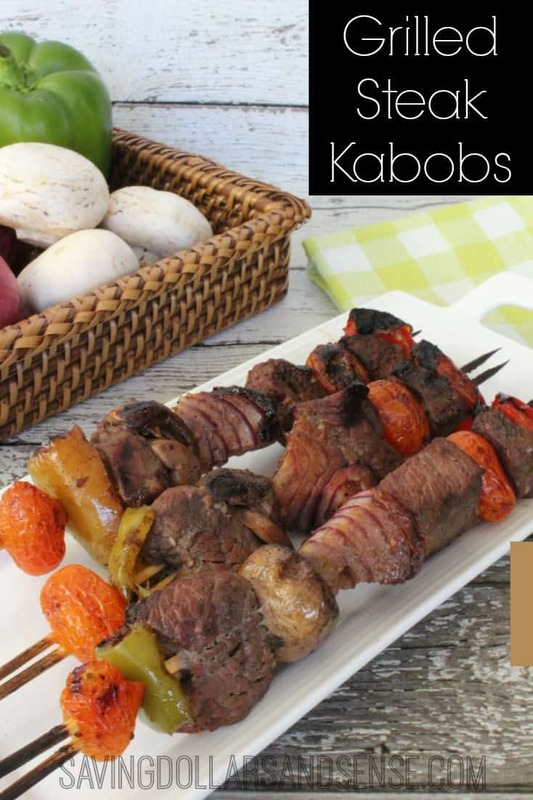 I was already planning to pick up onions, so this Grilled Steak Kabobs recipe popped into my head! I will look for mushrooms and peppers on sale this week. Might even make a visit to the local Farmer’s Market this week! Cut beef into 1″ cubes. Place vegetable oil, soy sauce, lemon juice, mustard, Worcestershire sauce, garlic, pepper and salt together in a large zippered plastic bag. Close and shake to mix. 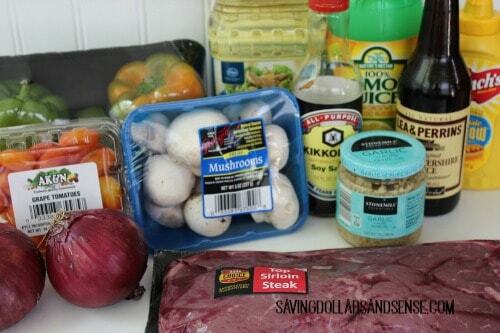 Add the beef and mushrooms and seal the bag. 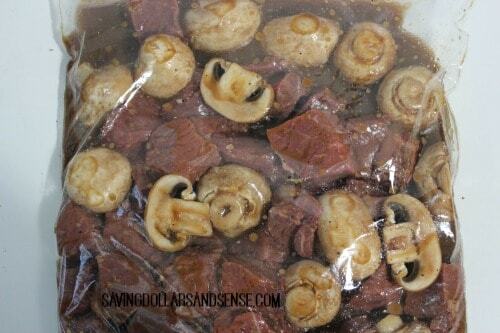 Marinate in the refrigerator at least 4 hours or overnight. 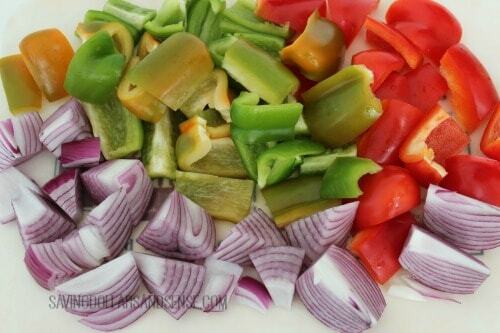 Cut Green peppers, red peppers and onions into 1″ chunks. 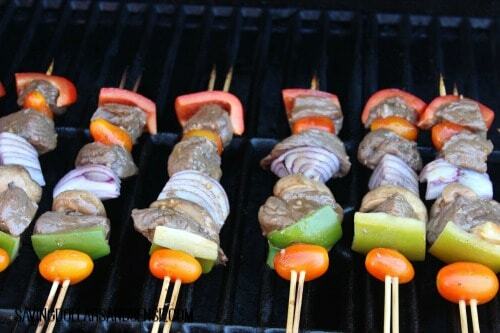 Put pieces of green bell pepper, beef, red bell pepper, mushroom, tomato and onion onto skewers. Preheat grill and apply oil to grate using a paper towel. Transfer the marinade into a pan and bring to a boil. Reduce heat and simmer for 10 minutes. Remove from heat and use for basting. Cook skewers on the grill, turning every 3-4 minutes and basting for a total of about 15 minutes.